Jogjakarta Bound | A Wordsmith. the first time i went to jogjakarta (shortened to jogja) was on 2003 on junior high school farewell trip. all i remember was it was so vast and humble. not much of tall buildings. the most memorable one was riding horse carriage from alun-alun all the way to malioboro for shopping with friends. 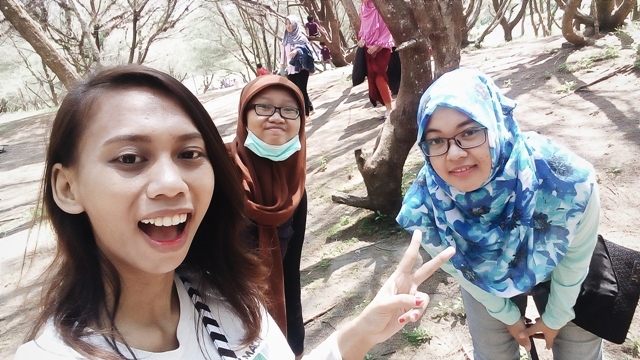 we also went to prambanan but overall everything is such a distant memory now. fast forward to 2015. a coworker-slash-good friend of mine said she's going to hold a wedding after christmas in magelang (located at north of jogjakarta, where borobudur temple at). in a heartbeat i said i'm going to attend and asked for her help regarding my first trip out of town. few weeks later, i'm all set. rough sketch on what we did from december 26th to 28th. it was half a mistake because it was the weekend after mawlid (prophet muhammad's birthday) and christmas, so jogjakarta was super packed! also pardon my aesthetic of a 13 year old (cringes at self. whyyy). as soon as we arrived, i met with an old friend who i've been consulted about all the jogjakarta trip with. she kindly help in rent us a car to go places. it's so convenient. pantai goa cemara (lit. : ironwood cave beach) is somewhat weird. 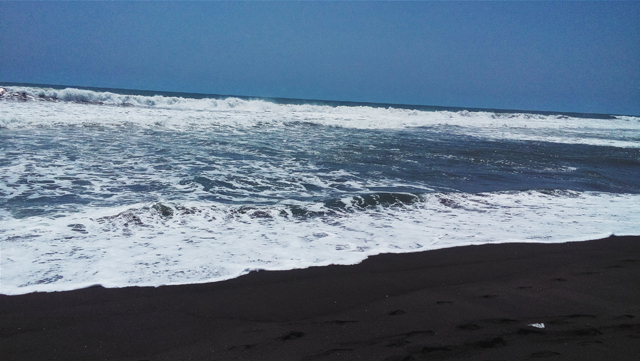 because the sand was as close to charcoal, hot and near pitch black, the waves are so high (our driver said it's because of the wide trench just by the coastline, thus forbidden to swim in), and it's unbelievably hot. the place itself is pretty crowded. but not as crowded as other beaches. there were lots of mini restaurants and snack booths there. also little playground for kids. the beach got its name is from casuarina equisetifolia that grew alongside the beach and a cave on the center of it. due to lack of time, we only go to pantai goa cemara as seen above. actually this beach was the start of whole coastline in jogjakarta so beach-hopping is super possible here. 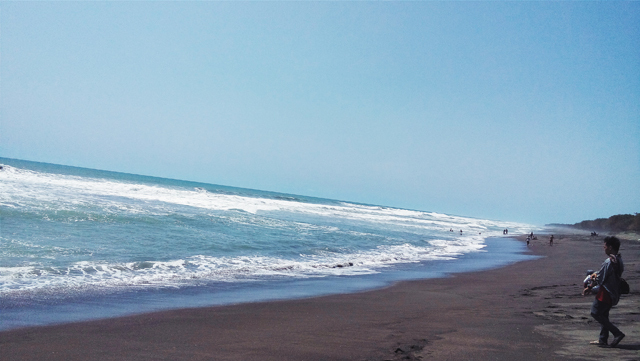 the must see beaches are indrayanti and pok tunggal. if you're more adventurous, you can go join cave tubing activity in pindul cave. also, one of those times i'm not shy to take photo and post it in this blog. hello! 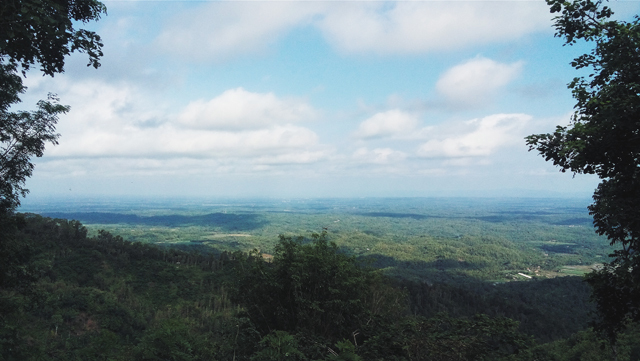 the workmate who joined along in this trip suggested us to go to kalibiru so we go there afterwards. 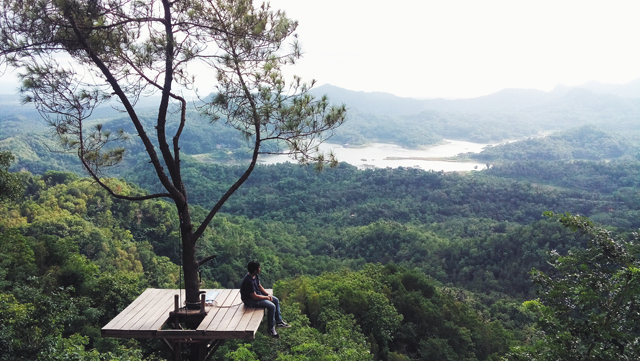 a tourist spot just above the sermo dam overlooking the menoreh hill. the hike was super tiring. it's as if i've developed my calf muscles in 10 mins. was it worth it? yes! the view is so beautiful and everything looking as green and blue as ever. the air was fresh and it's not overly packed as other places. it could be because we're there around afternoon. 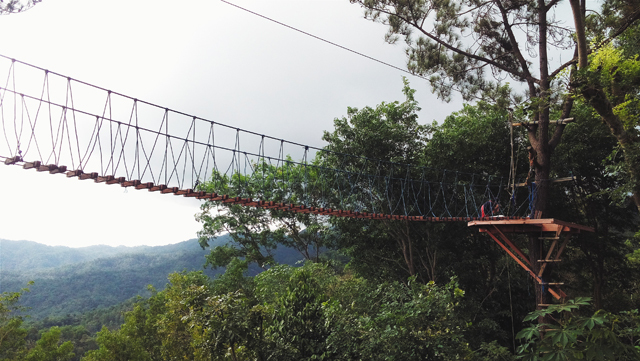 there are some outbound activities such as flying fox and rope ladder. also a spot for people to take photo just by the tree overlooking the dam like as seen above. they provided photographer for you and you can just pay them. neat. afterwards we go back to jogjakarta for check in at pawon cokelat. 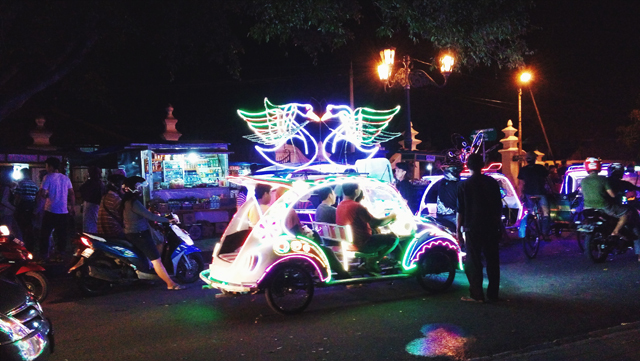 typical night at alun-alun with all those flashy 'cars' (more like self-paddle rickshaw) with blasting stereos. met our old friends while hanging out here and putting self to test by passing the middle of banyan trees. all of my photos are blurry (why) but you can see it on tricia's blog here. belgian style, one of the most known chocolate parlor in town. they have various flavors from the basic vanilla to spicy and rendang #dead tastytastytasty! if you go to jogja, make sure to eat gudeg as it's their traditional cuisine. this one is the bomb. head to the one near gadjahmada university. it's unbelievably cheap. $1!!!!! my gastric acted up just as we're going to alun-alun on saturday night (thanks!) and this was the nearest place. i like the duck as it's yummy but didn't smell. but it was really crowded and the service was pretty slow. basically satay with bike's spokes as the skewers. usually accompanied by stock soup and warm rice. mainly the parlors open at night because it tastes better. hands down. i want them again! we didn't go here since it's very crowded on the weekend we came. but most reviews said it's a cheap restaurant with lovely ambient. definitely will visit someday! other than gudeg, you must eat this pastry. also bring it home if you can! the one with mung bean filling is the most favorite and there's also other fillings from cheese to durian. my favorite is bakpia kurnia sari. 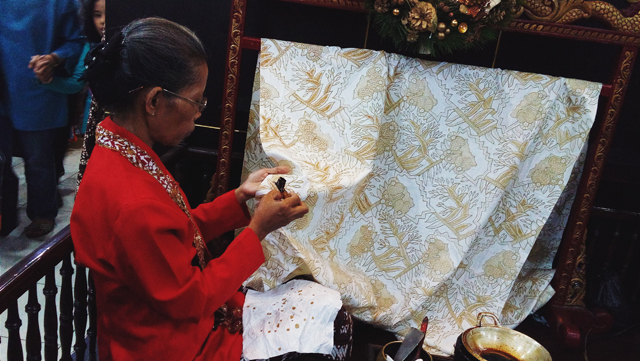 old lady painting batik at hamzah (previously mirota). 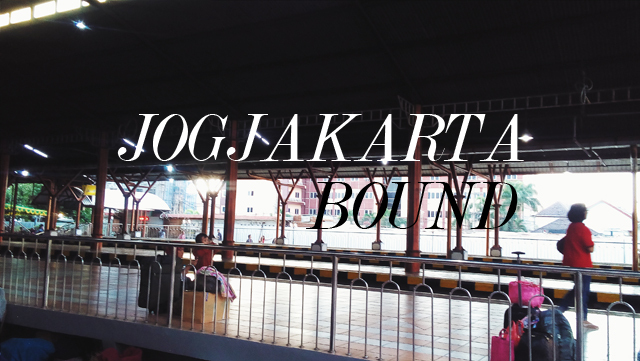 the high-end place to buy batik and souvenirs from jogja with impeccable quality. i drooled at their collections! we managed to do some shopping spree before going home. luckily the train station located just next to malioboro. 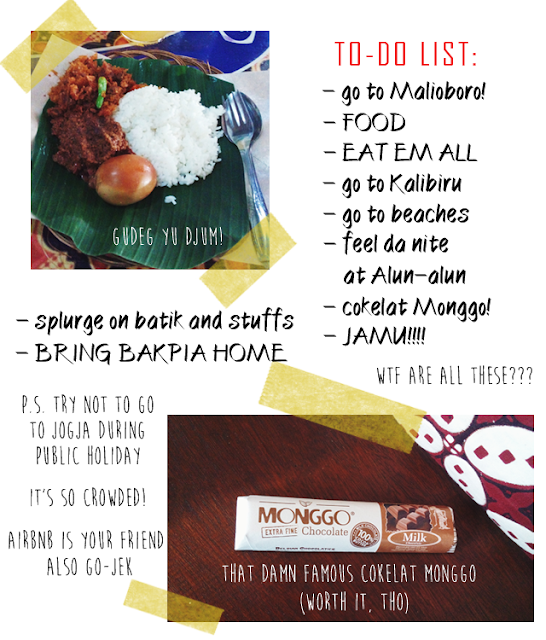 don't forget to buy lots and lots of batik and souvenirs until your bag couldn't contain them anymore. try to bargain starting from half the price!